A chance to acquire a stunning two bed within this new build development, Marine Wharf. Built by renowned developer Berkeley Homes, this fantastic scheme includes a high-end specification, 24-hour concierge, residents only gym facilities, secure bicycle storage, a cafe and supermarket. The apartment, laid out over 750 square foot, offers a bright and airy open plan reception that includes a high specification kitchen with fully integrated appliances. 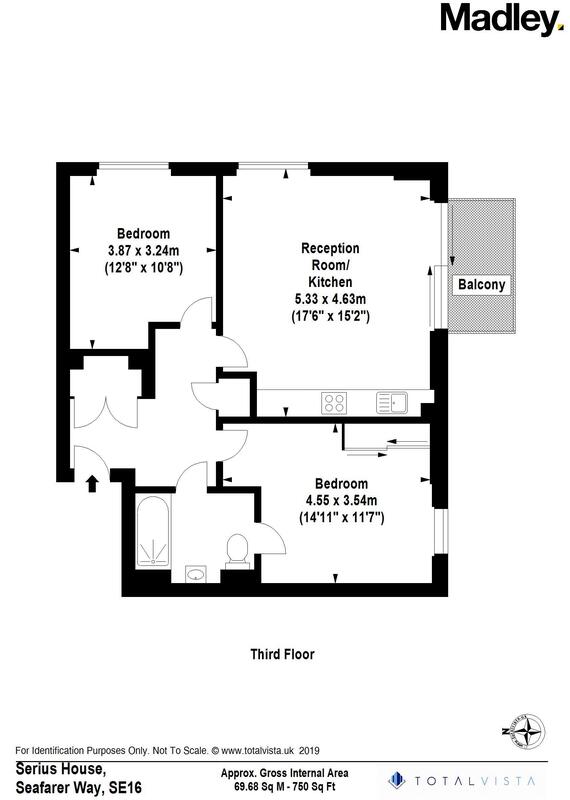 Both double bedrooms are good in their size with shared access to the luxury separate bathroom. Marine Wharf is conveniently located only a short walk from Surrey Quays station, which services the underground at Canada Water station, DLR at Shadwell and the soon to arrive cross rail at Whitechapel. The immediate surrounding area provides a host of local amenities on your, with more set to come to the area.